I or anybody I know didn't have overdose of anything. Coloring reminded me of what could overdose be. Or should I name next hypertile as overdose rofl. at Aposhack And used his slightly confusing (until I knew how to) xaos drawing. Plastics exploitedMy last journal was about plastics. Even though it is not hard to find them, it is hard to find any recent ones. Especially plastics that use some xaos. So here I am, writing an article about what you could do when creating a plastic. I hope to come up with some plastics, that illustrate how much more can be done, then just creating nice blurred balls. (I am NOT implying that they do not look good nor that they are be original,I am just showing other ways on how to put everything together). I am gonna use some xaos graphs. A triangle means a transform and an arrow means the xaos is not zero. If there is no arrow it is zero. Now let us start with a plastic that does have blurred balls (more or less). What happend in the picture ? Superb. Colors and textures are so rich and beautiful. This is beautiful! It has an almost oil-painting-like look. Great !! Congratulations to You very nice Awesome and Amazing colors and picture in while fantastic enjoyable wonderful bright and colorful ! 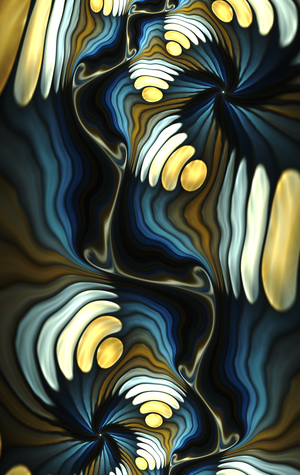 Try to make a fractal with Apophysis that is at least half as decent as those made by BoxTail, then come here again and we can talk. Wtf is a fractal?!? A bunch of random colors on a screen? #89: Frequently Asked QuestionsOk guys, I think it's time to do a little FAQ, because I read the same questions over and over. Let me see if it's useful for somebody. It's a really difficult question to answer, but I'll try to keep it as simple as I can. So, fellow fractalists, if you're reading, I won't be that precise in answering. Wikipedia says: "A fractal is a mathematical set that has a fractal dimension that usually exceeds its topological dimension and may fall between the integers." Wait, what? I didn't even understand myself. Ok, a fractal is basically the repetition of a same "image". This image can be repeated with its original dimension or fractal dimension (it can be resized).